MyCRM Blog | Would having well-organised data and processes help you achieve more in less time? Technology and software for the sake of it is not going to add a great deal of value to your business, and this you already know. You are probably also sick and tired of sales people telling you that you need a given piece of technology without even understanding your business or what you want to achieve. You may have already been informed that Artificial Intelligence or Advanced Business Intelligence is going to be the big game changer for your industry sector. The truth is most businesses can achieve more by cost effective centralisation of data, by defining processes, and “the cutting edge whizzy super technology” can probably be left for another day while we help you increase revenue and double your profitability. At MyCRM we take a different approach where we listen first and advise based on practical experience. We appreciate we are asking for a level of trust from you before you engage with us, but our client friendly, customer first approach has been tried and tested, and refined over many projects and over many years with different business types. Our focus is wanting you to succeed, and with the general ups and downs of business and any uncertainty, you need a team that are going to support you from day one. A team that not only understands what you are trying to achieve, but one that can spend the time to help you resolve and move to the next stage. A well implemented system is going to benefit your business system automation and process definition, it always does when it is done correctly and is well defined. 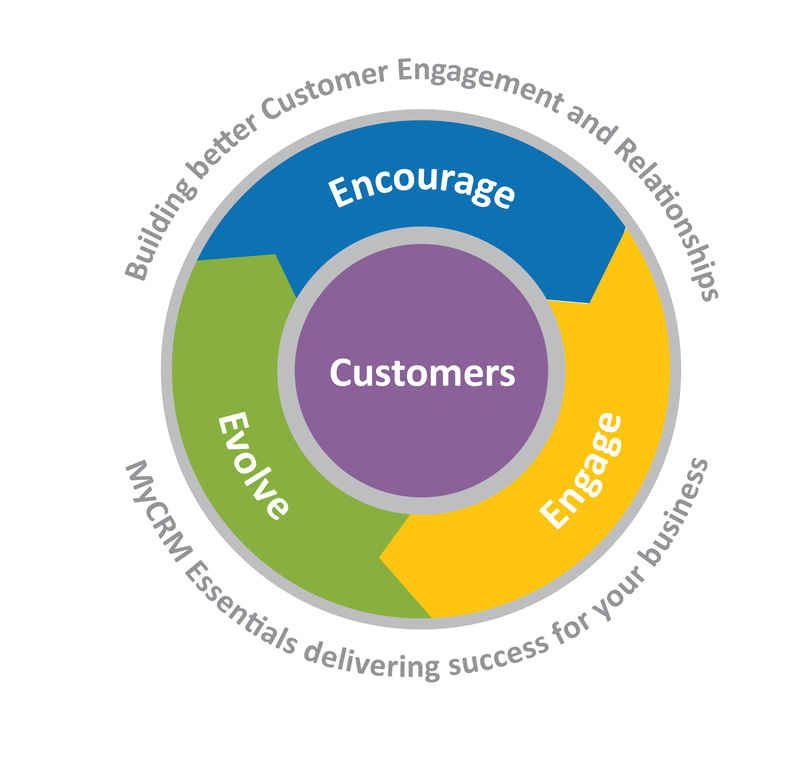 With MyCRM Essentials your business and your team not only gain access to a fully preconfigured system that fits the purpose of great customer engagement, but offers a host of additional functions that helps your team to do more. One of our extended functional areas in our Essentials platform has to be Activity planning and tracking. In this first Wave 1 release, we have included our advanced Activity Calendar, which delivers multiple calendars and time based planning. Most CRM system do not offer this level of functionality, but here at MyCRM we appreciate that time is money, and productivity comes from being efficient with your time. 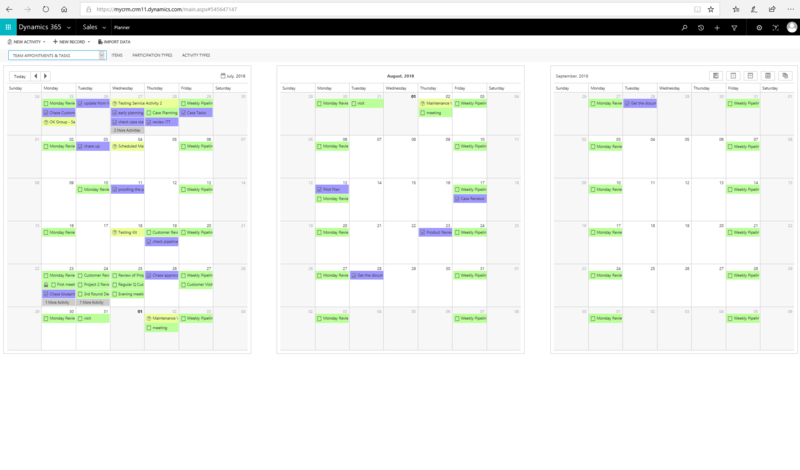 Our planning tools allow for multiple calendars, which can be used for Holiday or Absence tracking, Sales or even tracking Marketing activity along with your standard day to day activity planners. What is more, in Wave 2, further capability for Programme and Project management using Gantt Charts will be made possible. As a business owner you will probably have the same ambition for your business as we do at MyCRM; an objective to make and do more, to grow your business, grow profitability and revenue. However, there is always a question around how much investment has to be made to achieve the next stage of growth. At MyCRM we are not business coaches but know about efficiency and increasing productivity. 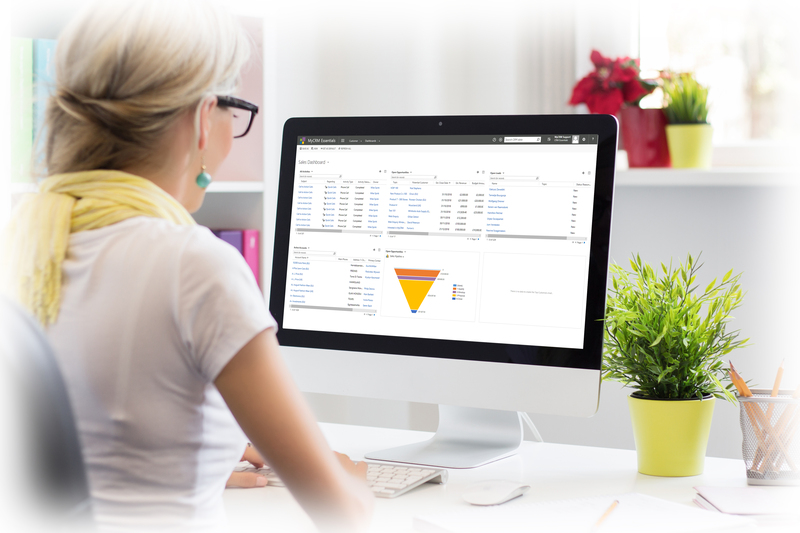 We know we can help you centralise data and drive your Sales, Marketing and Support to the next level of productivity. MyCRM Essentials offers a huge range of functionality out of the box, and has been configured to make the setup and day one use even less time consuming. A complete system that increases your productivity from day one, and integrates with common tools like Outlook and Microsoft Office by default. A new business system should not end up being just another software solution. 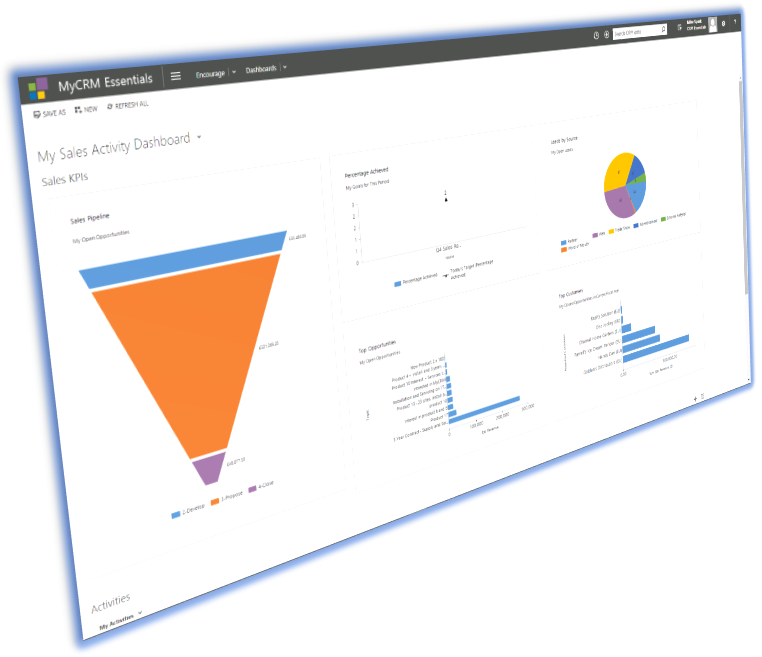 We want your users to get the best possible value and user experience from the investment that is made in MyCRM Essentials. We will help you navigate the setup, import your data and train your users, which is all part of the subscription and setup process. Having your data in a new system is one of the biggest hurdles faced by most businesses, especially if you don’t have a centralised approach and have spreadsheets with multiple copies of the same record. Our approach is to make everything as simple as possible and make sure everything is working for all of your users. Working with us means exactly that and we will guide you and share our advice to help you get the best from MyCRM Essentials. We would love to share our experience and help you achieve more. Through November we will be running a number of webinars to outline how we can help, and we look forward to seeing you there! Keep an eye out for how you can subscribe.